This training contains the key elements you need in order to start a career in a Work place as a fresh graduate. 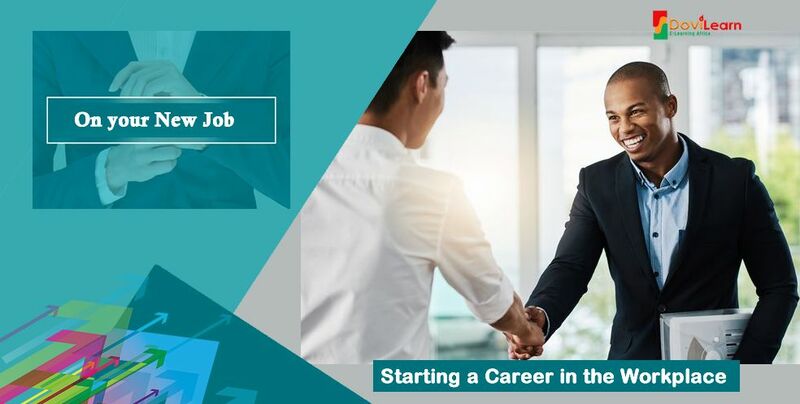 This online course is essentially ideal for fresh graduates with at least 0 - 5 years of work experience, and willing to make a professional career in corporate organizations. Starting a career in a professional work place can be quite task demanding and completely strange if you have no prior knowledge or expectations. This course on fresh graduate starter pack is what you need to get you going. To become a successful career professional requires beyond making good grades while in school, or having good knowledge on the subject matter. You will also require to learn how to co-exist at the work place, work with team with diverse background, learn to manage multi-tasks, be a good team leader if required, and more . The course contains over 25 sections which makes up over 4 hours highly of illustrative and detailed training and guide for Fresh graduates. Topics ranging from Time management, Work place conflict management, Dealing with Stress at work place, Problem Solving, Cultural Awareness, Personal Grooming and Branding, Taking Initiative, Team working and bonding, Dealing with change, Resilience at work place, Health and Safety basics, Influencing Skills, Being production at work place, Work place Attitude, Emotional Intelligence, Delegating Responsibility, Being a New Leader at work place, managing sexual harassment at work place, and lots more were detailed in this training! Over 4 hours plus hands-on training on work place secrets and techniques for a successful career, plus a Certificate of Training Completion. You'll learn how to manage some of the very likely challenges you will face at the work place. In most big organization, you are supposed to go through this training and orientation before starting your job, however, not all organizations can afford to train their new staffs on this. Taking this train helps to lessen the burden from your employers and can also increase your job search prospection. You can take this online course from any location in the country using your smart phone, tablet or PC. Section 1 of this course is open and accessible for free. It will give you an insight of the amazing package of this course. You can login to take the first free section of this course for free to see what it looks like. This course is ideal for fresh graduates and young professionals with 0 - 5 years of working experience, and interested in making an excellent professional career. It is ideal and highly recommended for Fresh Graduates, Intermediate Professionals with not more than 5 years of Work experience. Also, this course will increase your chances of landing on your dream job, as having good knowledge on how to start a career at the work place ease the stress from some employers who can not afford to train their trainees on this, therefore, it shows your readiness to take on the new job! Upon completing this course, you will get DoviLearn Certificate of Training Completion on Fresh Graduate Starter Pack (Starting a Career in the Workplace) which is downloadable at no additional charges. You can include this in your CV and reference to prospective employers, including your current employer. LearningPlanet is a privately owned and operated organisation. We’ve created a training resource library that can be used as, when and how anyone needs it – it’s a revolution in online learning for individuals and businesses in the areas of Sales, Service and Leadership. Working as part of the Massey University campus within the eCentre who support and develop professional entrepreneurs with an innovation ecosystem so they can create successful global companies. With over 25 years in the corporate learning and development market and experience across four countries we have built LearningPlanet to meet the needs of the training and coaching market and fill the gaps we identified when owning and running classroom training and consulting businesses.